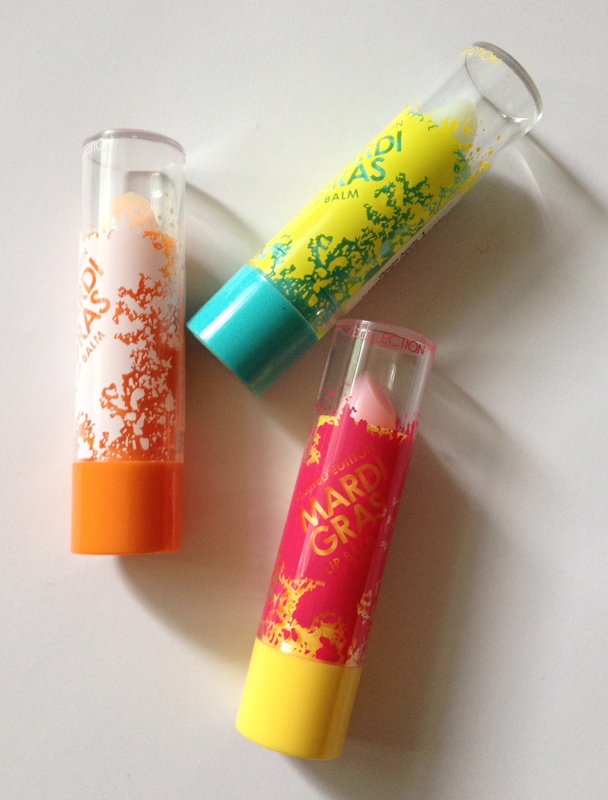 And now for something that will definitely brighten up a grey day: Collection’s new Mardi Gras make-up range. Inspired by the spirit of Rio, carnivals and the sun-drenched tropics, this uplifting collection features three on-trend nail polishes and three limited edition flavoured lip balms. And if the colours don’t do it, the prices will definitely cheer you up – everything is just £1.99 each. The polish shade names are, from left to right, Green with Envy/ White Out/ Canary Yellow. Tip: Emulate the Burberry-esque pale yellow finish of the brand’s shade Daffodil, by painting nails with a coat of Canary Yellow and a coat of White Out. 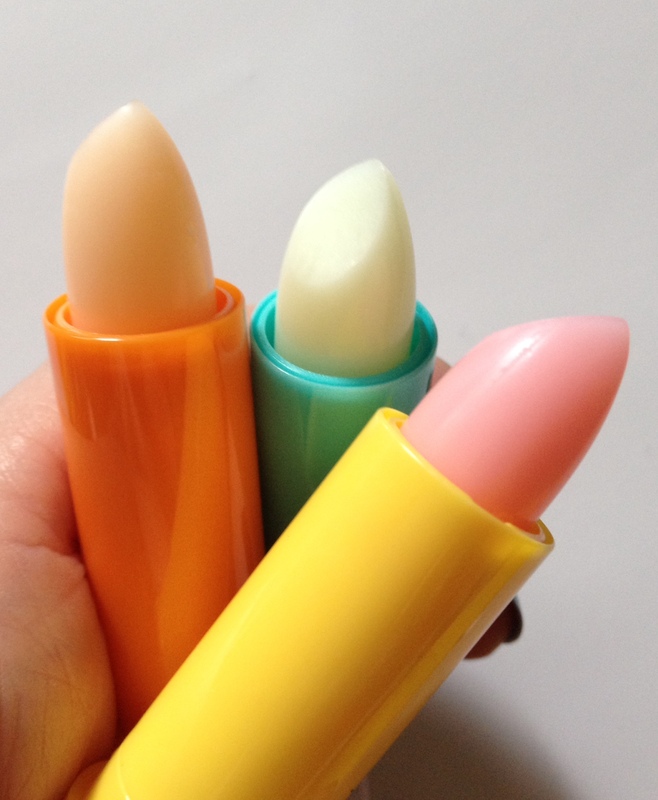 Fruity and fabulous, the lip balms smell good enough to eat but try to avoid licking them off your lips! 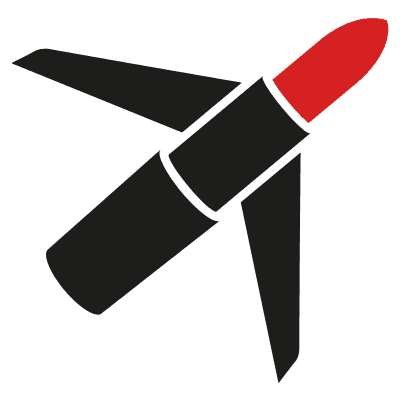 Above, from left to right: Orange/ Green Apple/ Strawberry. 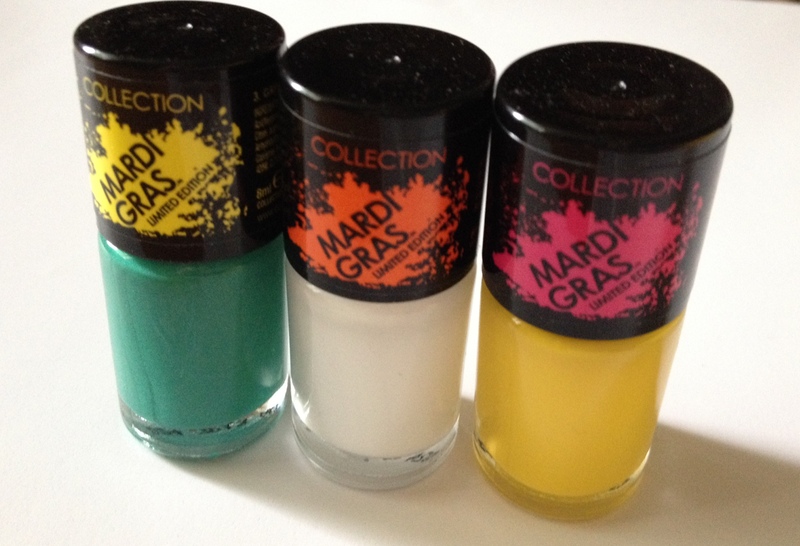 Collection Mardi Gras is available from Superdrug from 4th June and Boots from 11th June.